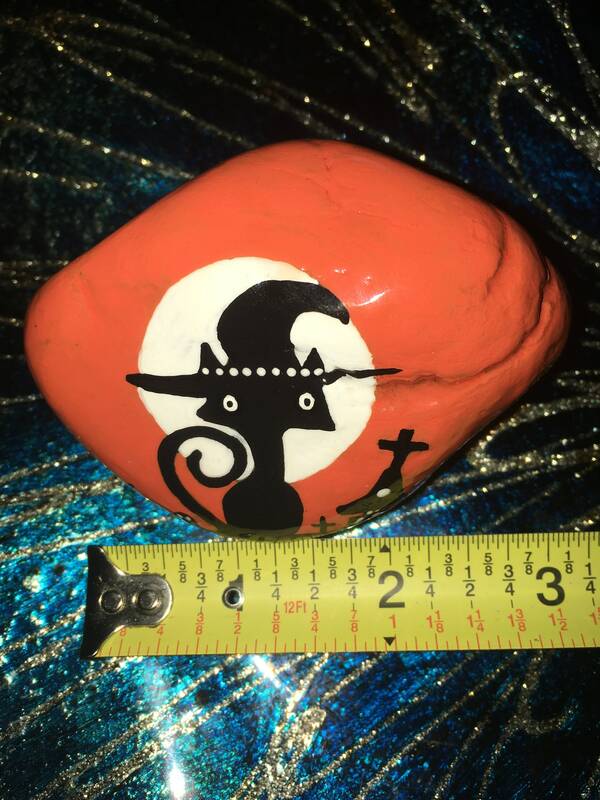 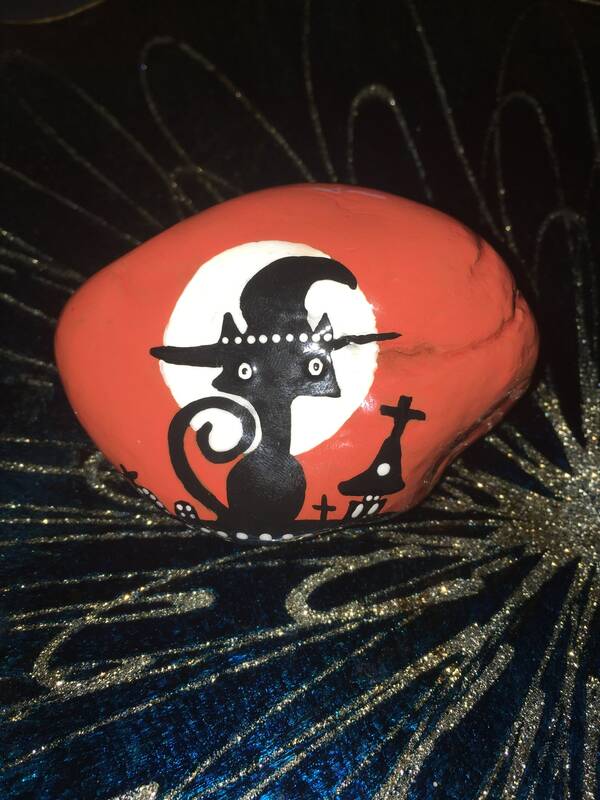 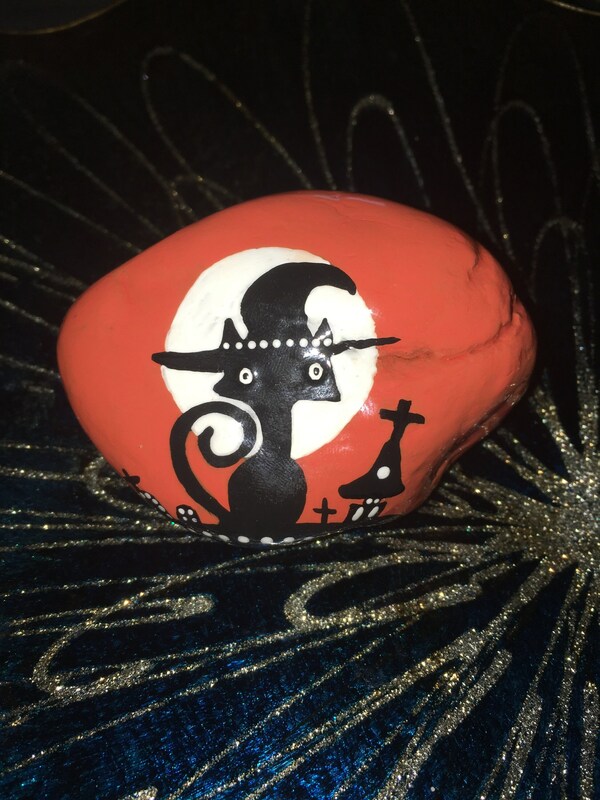 This rock screams Halloween!!! 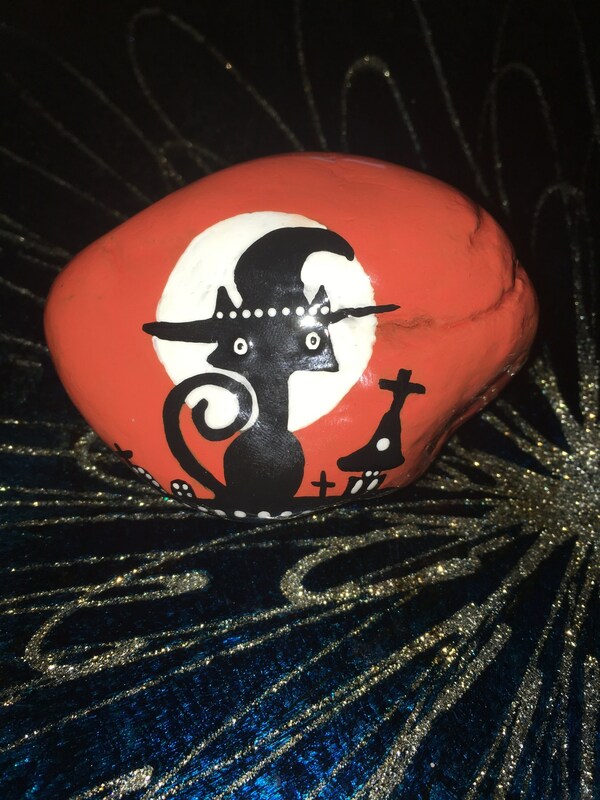 From the black cat, to the grave yard and the full moon, everything you can think of when it comes to Halloween is on this rock. The cat is even wearing a witch hat. 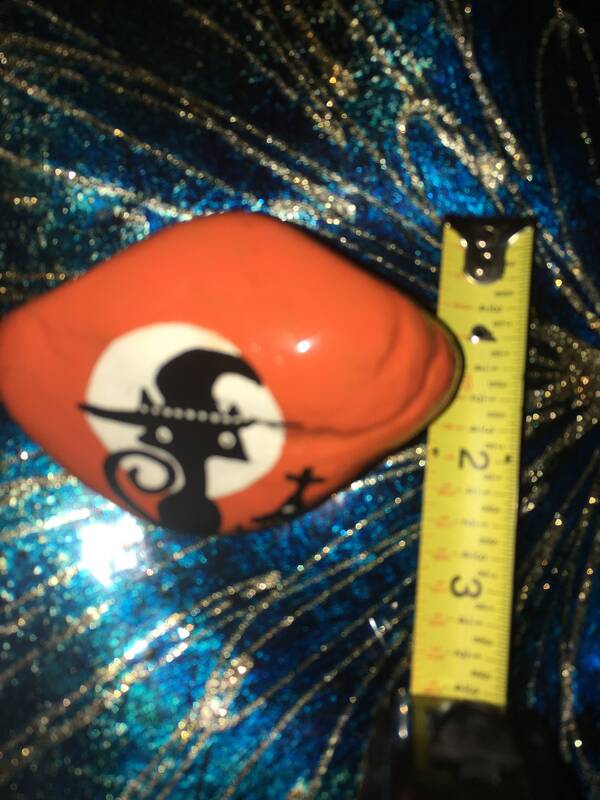 It has been signed, dated and sealed for all purpose use.